In this digital age, new apps are created to aid small business productivity for each simple task or activity you have to do on a daily basis. However, the reality is our phones can often distract us more than anything. 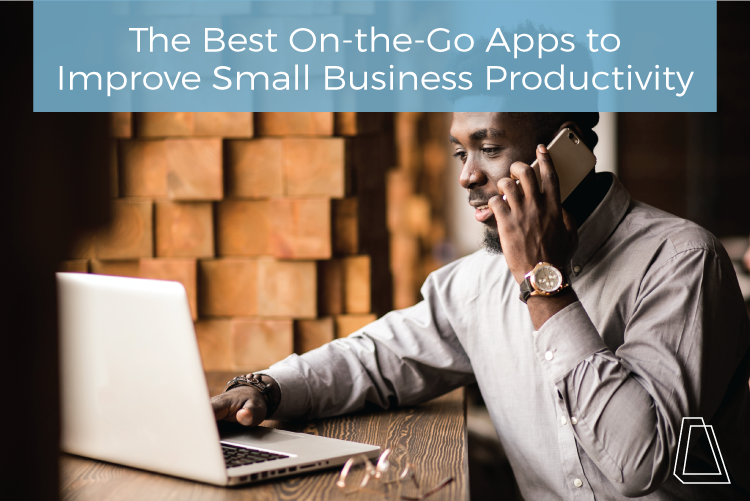 Enter a few key apps that can keep productivity at an all-time high when you’re a busy small business owner on the go. Sortd is a Gmail plug-in that allows you to drag and drop your incoming messages into columns such as “to do,” “follow up” and individual lists of your choosing. Gone are the days of marking emails as unread just to keep them at the top of your inbox. Instead, sort through your email with ease, ultimately cutting down on the time you waste checking your messages each day. Use it by itself, or integrate as a to-do list sidebar with your current Gmail inbox. If you’re looking for a tool to simplify your social status, then this is the one for you. IFTT allows you to create “recipes” between Instagram, Facebook, Twitter, Email, Wordpress, etc., to automate your posting from one starting point. For example, if you post a new blog via Wordpress, IFTT can create a recipe to then share that live link to Facebook. You can then add a recipe to post on Twitter from Facebook, and so on. Create enough recipes and you can have a fully automated social presence. Trello will always pop-up on productivity lists because it itself is a champion of lists. Similar to Basecamp or other project management tools, Trello allows you to create a page for each project and subsequently add individual cards for components of that project. As you work through the project, you can move the card through your established lists onto the next phase of the process. When items are complete, or to save projects for reference, create an archive. A favorite of the Accelity team, Trello has an extremely mobile friendly interface for project management in motion. Another favorite of our team, Todoist allows you to curate lists of projects and categorize them to your liking. You can set deadlines and priority levels for each item and check them off when you’re finished. Check off enough things in your day and you’ll be congratulated for meeting your goals! As a bonus, integrate Trello and Todoist via Zapier to automatically compound your Trello notifications into their very own Todoist list. One less app to check and one more step towards productivity glory. Staying productive doesn’t always have to mean app integration and to do lists. Listening to podcasts while you work, run between meetings, or simply need a coffee break, can boost your productivity and teach you something along the way. Pods like Getting Things Done can teach you more about literal productivity, while listens like The Tim Ferriss Show can open your thought process to new and different ideas that Tim will try for you first. Choose from the copious amounts of new podcasts started every day and you’ll be sure to find your groove. You don’t have to be sitting down at your desk to be productive as a small business anymore. The tools you have at the tips of your fingers can not only boost your productivity, but optimize your business in more ways than one. What are you favorite business-minded or entertainment podcasts to keep you productive? Let us know in the comments below.